Ethiopians have suffered under TPLF (Tigray People Liberation Front) brutal regime for the last 25 years. This elite group of Tigraen origin which was conceived in the womb of hate and jealousy has ruled Ethiopians through its sophisticated oppressive means. From its inception, it was anti-unity, divisive, hate monger and self oriented opportunistic regime. With its small departments by adding prefixes (Amhara, Oromo and Southern people), TPLF has led anti democratic regime that denied Ethiopians fundamental human rights in their own country. TPLF from its inception 1975 was based on hate than principled conviction. The pioneers were young delusional students who dropped out from university for variety of reasons. Their orchestra led by none other than Sebhat Nega, who is still alive and orchestrating his divisive policy in his octogenarian age. TPLF doesn’t represent the Tigray people which itself comprise 6% of Ethiopian population. TPLF shield itself under Tigrean people as if it’s legitimate representative. The majority Tigraeans in Tigray live under fear and double oppression. They are not allowed to say anything except supporting TPLF. Those who live outside Tigray and in Diaspora, most benefited from the system and defend TPLF’s merciless killings and brutal crackdown against Ethiopians. They make every effort by hook or crook to sustain TPLF’s rule. TPLF destroyed all press, legitimate opposition parties and non-governmental agencies which promote personal, democratic right and good governance. TPLF used its rubber stamped parliament law for several years to stifle any form of democratic exercise in the country using its famous Anti-terrorist law/Proclamations. TPLF attempted to destroy the legitimate educational system and formed its own, generation killing curriculum. It published newly made history books which attempt to destroy Ethiopian independent, sovereign history and its heroes. Schools are used as propaganda field. TPLF created a delusional federal system with puppets figure head while its operatives rule under iron fist. It continued its divide and rule policy by fermenting and waging war among different ethnicities, nationalities and religious members. Its inflammatory polices have made Ethiopians displaced, homeless, dispossessed, unemployed and to flee from their country. TPLF has implemented a confused economic policy that benefited its members and supporters against the majority Ethiopians. It’s newly created millionaires and “upper class” are based on false economy, favoritism, contraband and nepotism. The majority of the peasants are under the mercy of TPLF. The Ethiopian people are denied of its historical land right as now illegally all land belong to TPLF. EFFORT (Endowment Fund for Rehabilitation of Tigray), which is owned by the few elites of TPLF top brass, controlled more than 70% of Ethiopian economy. It looted the public property, bank and run business as monopoly controlling the business field and killing any competitions from other Ethiopians. The artificial “growth” from data manipulation, few visible infrastructure development through borrowed finance, foreign investors are not sustainable as we witnessed an enraged oppressed people destroying it. TPLF is exhausting all its dirty political tricks to survive longer ruling Ethiopians. It has mobilized all the finance and resources it looted from Ethiopians to galvanise its security services, Agazi “killing machine” army, propaganda outlets and mercenary agitators. But the new generation said “No” and “Enough” resisting it peacefully with bare hand in peaceful demonstrations. TPLF’s propaganda outlets in Ethiopia and overseas are drumming day and night false information, confusion, disinformation, and exaggeration in a manner typical of disturbed psychotic patient with disorganised thoughts, pressure of speech, grandiose and paranoid delusions. The culprits, mostly paid mercenaries continue the futile attempt to dampen the struggle of the Ethiopian People against TPLF. The regime’s final means to survive long and to dampen the struggle is State of Emergency, which it declared recently. This is further to intensify its brutal suppression and engage in killing spree. There are palpable lies coming out from its propaganda outlets. There are numerous pseudo promises emerging out from the regime’s parliament to calm down the heat it is feeling. TPLF is known for lying and breaking promises. The phantom promises are just to buy time, then to lead its brutal regime and darkness. The only guarantee for the freedom is to get rid of TPLF. The newly appointed cabinet by TPLF stooge Prime Minster is a gimmick. Unless it has freed itself from TPLF policy and philosophy, it is designed to doomsday. Unless it has “teeth”, it will be part and parcel of dying regime, which will tarnish Ethiopian people faith on “educated people”. The “educated” minsters should use this opportunity to change the country to what we all wish for. They have to prepare favourable environment for transitional government, for all inclusive national dialogues and reconciliation of all Ethiopians and parties domestically and internationally. They have to dare to listen the people’s heart beat and breath, which is complete changeover of TPLF regime and its poisonous policy. 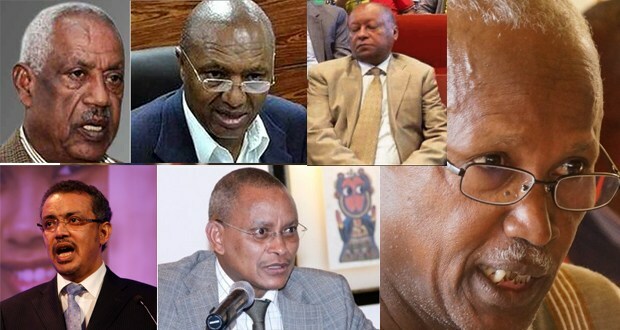 If they are not up to it, they should resign publically sooner than later, otherwise they will be part of the culprit for continuation of TPLF’s brutal regime. The Fascist TPLF in its 25 years of brutal regime has saw seeds of hate, suspicion, disunity, false identity and history. It has established a structure that facilitate its minority regime while majority are left divided, disunited and paranoid of each other. These would create obstacles for smooth transition even after TPLF’s death. Ethiopians have to be smart, measured, matured and human on tackling this uneven road. Ethiopians have to be united and work together in partnership. Ethiopians have to make sure and work whatever possible to guarantee the next administration should offer equal opportunity for all of us, treat us equally under the law and ensure genuine citizenship with all our human, economic, social rights and responsibilities respected. We should make sure that any regime that follows shouldn’t be on power without our will (genuine election) and the power should be also curbed. While we are under such new challenge defining our future, we should remain committed and united not to let any gap where TPLF, our historical enemies (local or far away) and opportunists to interfere in our country and our fate. The future of Ethiopia has a long journey to travel. The poison that would be left by TPLF would take time to detoxify. The paranoia and false identity it created among different nationalities need proper handling and therapy. Ethiopia is at cross road. The suffering of Ethiopian people spill out of the cup. The TPLF killer regime has continued its brutal killings, imprisoning, torturing and burning peaceful Ethiopian people at exponential rate. The young generation has said “No and Enough”, it reached to the point of no return. The siege for the last 25 years is to be broken. The cloud of fear, disunity and suspicion among Ethiopians is to clear. The smell of freedom is on air. A new nation of freedom and equality is closer. Ethiopians of all walk of life have to finish the job. TPLF is like a malignant cancer. Unless completely removed, it will continue to harm and bleed Ethiopians. TPLF is irreparable. Any cosmetics will not cover its big scars. Its members and supporters have to abandon it to live in peaceful Ethiopia for themselves and their children. TPLF is currently wounded and it is on death bed gasping for air, it is using emergency oxygen called Emergency State. It is on last oxygen tank. Even at its bed, it is not willing for peaceful transition and reconciliation. It is in grandiose and paranoid delusion of power. It has no insight of the Ethiopian people sufferings and quest for freedom. National reconciliation among Ethiopians is a must to start the journey for democratic and compassionate Ethiopia. The pathogenic policies of TPLF should be eradicated in the New Ethiopia. The Ethiopian people should unit, work together in partnership to continue and intensify the struggle against the TPLF regime to finish the job. TPLF is on cliff edge. A popular well organised and united push from Ethiopians of different nationalities, faiths, educational status, ability, income, gender and age will bring the demise of TPLF. Do not resuscitate a dying TPLF regime.